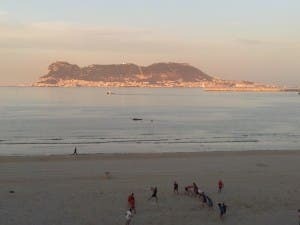 ALGECIRAS Town Hall is facing tough questions about ‘sewage waste’ running across a beach into the sea. While the town hall insists the runoff water at El Rinconcillo is ‘just rainwater’, Algeciras Sí Se Puede claims it is sewage discharge. The anti-corruption party are now considering taking legal action after water tests ‘prove’ it is wastewater. However, the town hall argues that their testing has revealed nothing untoward. “From our tests we are assured that the water is just rainwater and not wastewater,” a town hall spokesman said. The town hall clearly dont know much about how rain works and how its produced..